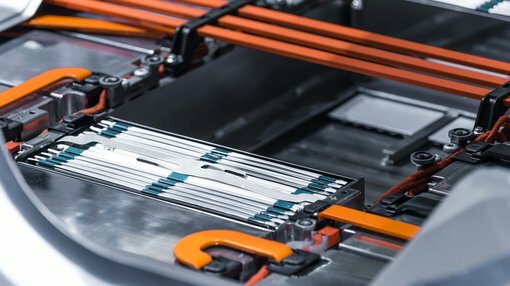 While manganese has long been known for its critical and irreplaceable use in steel production, it is now becoming more widely known as a battery component — particularly in the manufacture of nickel-metal hydride (NiMH) electric vehicle batteries and lithium-ion batteries (used in portable electronic devices, power tools and electric vehicles). Hence, companies with a focus on manganese are predicted to gain more and more investor attention as green energy metals momentum continues to dominate and disrupt metals exploration and investment across the world. Although the success of companies in this sector is speculative, so investors should seek professional financial advice if considering these types of stocks. One such company making moves in the world of manganese is Maxtech Ventures. Maxtech Ventures Inc (CSE: MVT) (Frankfurt: M1N) (OTC: MTEHF) is a Canadian-based diversified company executing plans to build itself through the acquisition of vanadium and manganese projects, in the hopes of positioning itself as a major player in the Green Energy Revolution. It is currently in the process of assembling key mineral projects for exploration across several countries including Brazil and Zambia. The company’s first project in Brazil, the Brasnorte Project, is a large land package of assayed high-grade manganese of 51.4% to 55.9% on four mineral claims of 40,000+ hectares in the Juina, in the state of Mato Grosso, Brazil. The company received the final Juina claims geological review announced on March 12, 2018, which is the key element to the Guia process of the Brazilian Departamento Nacional de Produção Mineral (DNPM). As well as it’s Brazil angle, the company is also targeting several manganese tenements in Zambia. MVT and its subsidiary, Maxtech Mining Zambia Limited (MMZL), having filed area of interest exploration licenses with the Minister of Mines and Mineral Development of Zambia. In conjunction with MVT’s strategic development partner GeoQuest, the company has currently filed two large scale exploration applications for licenses to explore potential high-grade manganese deposits in Zambia. The ~CAD$15 million company is actively evaluating more areas of interest where manganese mineralization is visible with an emphasis on researching claims with established histories of manganese occurrences. 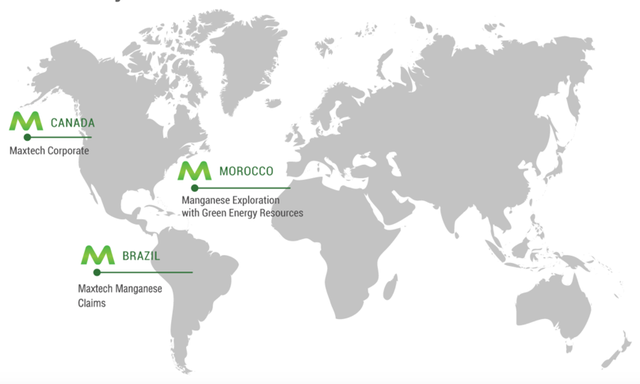 At the same time, it is seeking further global offtake partners to complete a vertical manganese operation platform in the region. The most recent news to come out of Maxtech is its engagement with Australian boutique Peak Asset Management (PEAK) as its strategic advisor, to identify growth opportunities focusing on green tech metals, in particular high-grade manganese and vanadium. Peak has a strong focus on mining and resources, providing private and institutional investors with access to attractive corporate opportunities, with a long track record of backing lucrative corporate deals. Their investment experience spans over 50 years, with prominent positions at firms such as Macquarie Bank, Bell Potter Securities and Goldman Sachs. Peak will act as strategic advisor for an initial term of six months and in return for the services provided, will be entitled to 300,000 options to acquire shares in MVT at an exercise price of $0.30 and a further 300,000 options exercisable at $0.50 and an 8% capital raising fee on any capital raised. In May, MVT provided an update on operations at its flagship properties in Juina in Mato Grosso, Brazil. The company’s Brazilian Brasnorte Project claims returned mean levels of 50%+ manganese metal, with analyses performed by SGS Geosol Laboratorios LTDA., Belo Horizonte, Brazil. In March, the company received the final Juina claims geological review, which is the key element to the Guia process of the Brazilian Departamento Nacional de Produção Mineral (DNPM). The Brazil-based geologist who conducted the review noted that the claim is composed “of manganese mineralization with structural characteristics of tectonic interleaving where the outcrops are well exposed within the area”. In June, MVT and its subsidiary Maxtech Mining Zambia Limited (MMZL) provided details of area of interest exploration licenses filed to the Minister of Mines and Mineral Development of Zambia. The first area of interest submitted is for the application of a new Large Scale Exploration License comprising 63km2 in the Mukambala area within the Mkushi District of the Central Province. The company reported that the presence of a “broad, apparently tabular extent of manganese mineralization in an area of recognized manganese potential” is a positive sign. The area is one of widespread, consistently high (but variable) water table in a flat-lying landscape that creates conditions favourable for protracted, in-situ chemical weathering, factors that are conducive for the creation of near-surface, supergene style manganese mineralization. There is also “an extensive area of mapped ferricrete, that is worthy of inspection as such extensive ferricrete areas are sometimes associated with underlying concealed manganese”. 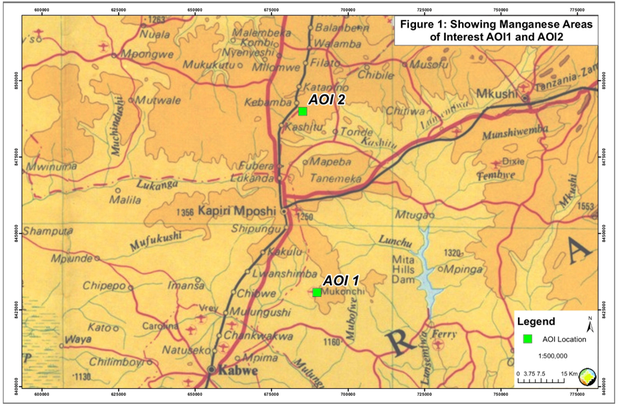 The second area of interest submitted is for an application of a new Large Scale Exploration License comprising 73km2 in the Kabamba area within the Masaiti & Mkushi Districts of the Copperbelt and Central Provinces. According to MVT, the manganese mineralization appears to be “hosted within a specific sedimentary unit, albeit with subsequent tectonic controls which may be localized”. The strike length of the observed “quartzose units” runs for several kilometres, which means potential for “along-strike continuation of the mineralization”. In addition, high vanadium potential is combined with the possibility of additional precious metal mineralisation such as gold, which could provide more incentives for further exploration. Zambia is one of the largest copper producers in Africa and draws revenue from mining companies through taxes and royalties. At the recent Mining Indaba 2018 conference in Cape Town, South Africa, the Zambian Minister of Mines and Mineral Development, Hon Christopher Yaluma said that Zambia remained one of the most favourable investment destinations in southern Africa. MVT’s ultimate ambition is to become a force in the green energy sector initially through the development of manganese deposits, with the hopes of supplying low-cost manganese to the burgeoning LMC (lithium, manganese, cobalt) battery market. The company has assembled multiple assets that it intends to develop with its established partners on the ground in strategic global regions. If its ambitions are realised, Maxtech will become a low-cost supplier of manganese to multiple markets. There are three key markets where manganese is a valuable commodity with significant demand driven by new growth opportunities. Agriculture: manganese used in fertilizer is an essential nutrient for photosynthesis creating greener crops and higher yields. Industrial: for steel production, manganese is a critical component used in the creation and tempering of steel products. Technology: high-grade manganese is quickly becoming a major material being used in rechargeable power cell manufacturing. Together with its partners, Maxtech is ramping up its activities towards rapidly assembling a significant foundation in high-grade and specialty manganese. Beyond the prospects outlined above, MVT is actively evaluating more areas of interest where manganese mineralisation is visible, with an emphasis on researching claims with established histories of manganese occurrences. Further, the company is also seeking additional global off-take partners to complete a vertical manganese operation platform.